Timing of flu season varies in different parts of the world and from season to season. Generally, the dates of flu season in the United States run from October to May, with a peak between December and February. In the southern hemisphere, the flu season runs from May until September. Flu season generally spans the colder months because cold conditions are optimized for flu virus survival and transmission. Flu viruses are more stable and remain airborne longer in cold and dry conditions, making it easier to spread. This explains why there are few cases of flu and no flu season in tropical climates. Because the most prevalent flu virus can change each year, vaccine manufacturers use World Health Organization recommendations to create the vaccine that is likely to be most effective against that year’s flu virus. Doctors recommend everyone six months and older get the flu vaccine for the best protection against the flu. The best time to get the flu vaccine is before flu season, because the vaccine takes one to two weeks to become effective. The vaccine is usually available in September through mid-November. Those who have an increased risk of complications from the flu are encouraged to get their vaccine sooner to make sure they are vaccinated before the supply runs out. Don’t have time to make an appointment to get your flu vaccine? 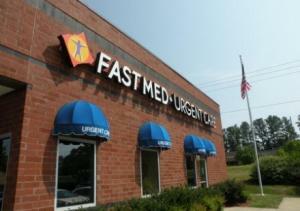 The providers at FastMed Urgent Care typically have supplies of the flu vaccine as soon as it becomes available. You can walk right in, and our medical professionals with give you and your family the vaccine. We offer extended weekday hours and have locations open 365 days a year. Whether you want to get vaccinated against the flu or need relief from flu symptoms, FastMed is here to help when and where you need it.